Anyone can practice Reiki healing, which guides and balances life force energy through the light touch of hands in non-intrusive positions on or near the body. Integrating Reiki with shamanism is natural as the two healing forms are based on similar principles. Discover Shamanic Reiki in Level One, Level Two, Master Practitioner, and Master Teacher trainings. Shamanic Reiki trainings are offered under the auspices of Shamanic Reiki Worldwide. Begin your journey towards becoming a Shamanic Reiki healer in this highly experiential training weekend. You will practice simple yet powerful techniques that join Reiki together with intuitive, Earth-honoring approaches from diverse shamanic cultures. Engage life-shifting shamanic journeys to empower as a Shamanic Reiki healer, and more. Register today for an upcoming training to explore and practice a systemized yet intuitive approach to manifesting profound natural healing at your fingertips to help yourself, your loved ones, your pets, and our Planet. We will meet on Saturday from 9:00am to 6:00pm, with a break for lunch, and Sunday from 12:00pm to 6:00pm. $165 per person. Pre-registration with $75 deposit is required. 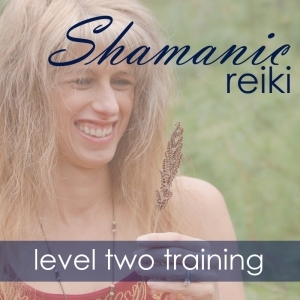 Successful completion of Shamanic Reiki Level One qualifies you for the Shamanic Reiki Level Two. In the shamanic worldview, we are all interconnected through time and space by a living, conscious web. This concept, understood as “oneness,” allows us to affect change regardless of our physical placement in time and geography. In this two-day training, you will expand your work with Reiki to benefit another, or a situation, backward in time, forward into the future, and across geographical distance. Release energetic blocks through Shamanic journeys, and more. This is a weekend training. We will meet Saturday from 9:00am to 6:00pm, with a break for lunch, and Sunday from 12:00 noon to 6:00pm. Please plan to attend both days. $195 per person. Pre-registration with $75 deposit is required. 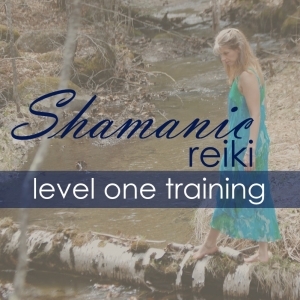 Prerequisite: Shamanic Reiki Level One (or Reiki I and shamanic journeying experience). Successful completion of Shamanic Reiki Level Two qualifies you for Shamanic Reiki Master Practitioner. Shamanism teaches you to use the powers of nature to heal. In Reiki, you channel life force energy to heal and restore balance. Join like-minded people in this lively experiential gathering. Reconnect with the healing power of nature and the innate ability to heal and balance through complex times. This is a two-weekend training. On the first weekend we will meet Saturday from 9:00am to 6:00pm, with a break for lunch, and Sunday from 12:00 noon to 6:00pm. During the second weekend we will meet on Saturday at 9:00am, break for lunch and dinner, and finish with an evening fire ceremony and attunements. On the final Sunday we will again meet from 12:00 noon to 6:00pm. Please plan to attend both weekends. $495 per person. Pre-registration with $150 deposit is required. 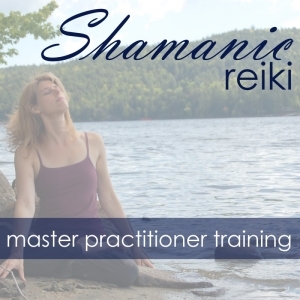 Prerequisite: Shamanic Reiki Level Two or Reiki II and/or Master with shamanic experience. Shamanic Reiki Master Practitioners are welcome to apply for the year-long Shamanic Reiki Master Teacher program. Yearlong in-person Shamanic Reiki Master Teacher program coming in 2020.